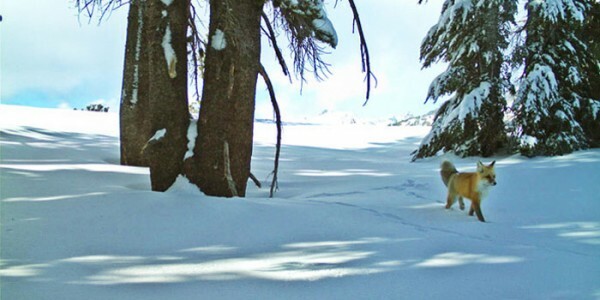 Yosemite National Park has confirmed the sighting of a rare Sierra Nevada red fox (Vulpes vulpes necator), which hasn’t been seen in the park for almost 100 years. The fox was caught on motion sensor cameras in a far northern part of the park on two separate dates, Dec. 13, 2014, and Jan. 4, 2015. The Sierra Nevada red fox is one of the rarest mammals in North America, there are likely fewer than 50 remaining in the wild. Biologists will continue to survey the park for additional foxes, which will help with a larger study funded by the Yosemite Conservancy to determine the prevalence of rare carnivores in Yosemite National Park.